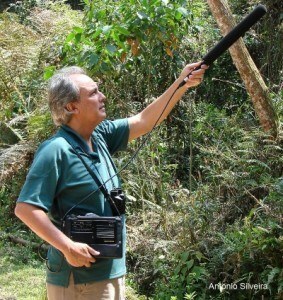 I record voices of birds and the nature in general in Brazil since 1986 and I’ve used many types of recorders and microphones and I look to make progress in this area, for this reason I like to study many teachings on recordings of voices of birds, mammals, amphibian anurans, insect etc. I put my files in my website but I think it is also important to put in community sites to promoting a wider dissemination. Therefore, I like to collaborate with some websites like Internet Bird Colletion (IBC), Xeno-canto and Youtube (1). Adding that the most important thing is to make recordings on the field no matter in principle how and what form was made. Logical that the most interesting is included more information as possible, but really is much important is recording that voice or sound in that place to enable future studies about the species or the local environmental situation. Often we can record a very rare vocalization in the background of our main recording which will be identified by experts. 2 – the value “trade” used for sales. I think the most important is the recording with scientific interesting of the voice and not the quality of the recording. Because this I think also the most important thing is to collaborate with the web community with many recordings, with more information possible, not worrying too much about the quality. 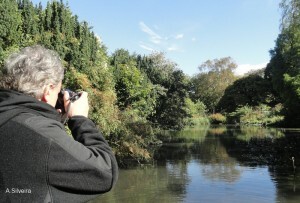 A recording might be poor quality but register a new or rare species. Each recording will have its value and importance, and subsequently verified by scientists or amateur. Therefore, you should not worry so much about the quality but to the quantity of records that may have great interest for the future. Go to field, register and enjoy yourself doing something good and useful for the people that like the nature and the scientific community.